Ideal for storing your rigs easily and securely. The Tronix Full Rig Winder Box is one of the flagship ranges that has helped make the brand what it is today. A perfect solution to rig storage. Rigs can be individually wound onto winders and stored away easily. 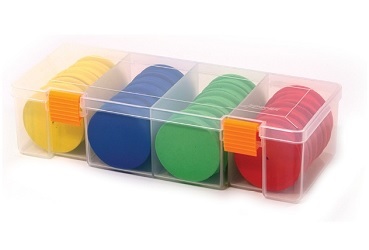 Each winder box contains 20 rig winders, 5 yellow, 5 blue, 5 green and 5 red. At TronixFishing, our passion is to provide UK anglers with high performance fishing tackle at affordable prices. TronixFishing is a wholesale fishing tackle supplier,with a wide range of fishing equipment brands from around the world, as well as our own respected fishing tackle brands.